Two South Florida grocery stores that sell live animals have run into trouble with state inspectors. 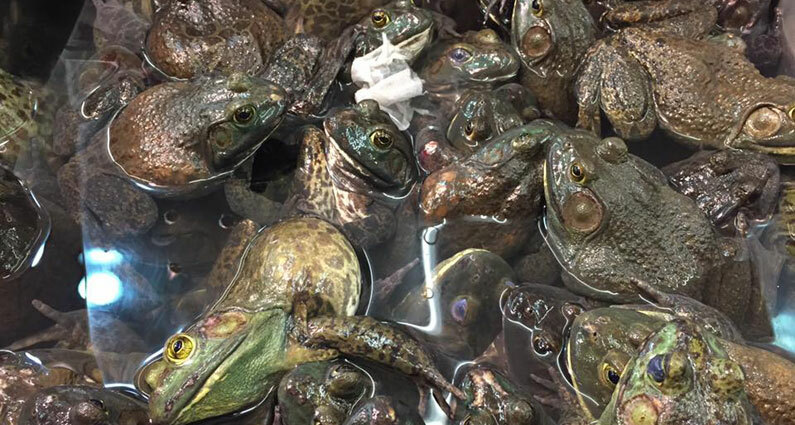 ARFF will continue to visit these markets to make sure that state regulations that provide limited protections to frogs and turtles are enforced. 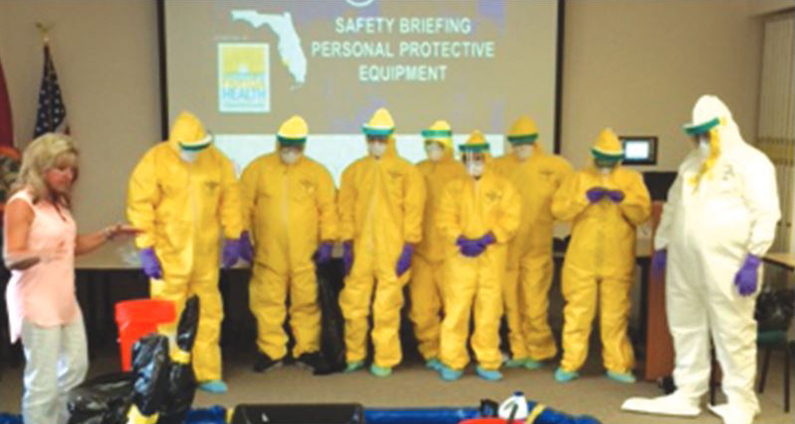 With three monkey breeding facilities in operation in Hendry County, and a fourth under construction, it is probably a good thing that staff members from the county health department and Hendry County EMS recently attended a training session to help them identify and respond to biological threats (photo from The Caloosa Belle). Monkeys imported into the U.S. for laboratory research can carry dangerous viruses and bacteria, such as Herpes B and tuberculosis. The threat is greater with wild-caught monkeys, such as the 630 crab-eating macaques imported in 2014 by Primate Products (the company was the subject of a recent investigation by PETA). Of course, the best way for Hendry County to protect against an outbreak of infectious disease would be to put a stop to the expansion of the monkey breeding industry. Visit ARFF’s website to learn more.